Are you aware that diabetes is the leading causal agent of blindness of adults between age twenty and seventy-four? If not, you are not alone. As of 2008, over four million individuals in North America afflicted with diabetes were found to have diabetes related blindness. Of this group, 70,000 were afflicted with severe diabetic retinopathy, which, if left unmonitored, will lead to total blindness. While not every individual is at risk of diabetes related vision loss, it is essential to know the connection between the disease and blindness. Having a diagnosis of diabetes is the first risk factor. Anyone in this category should ensure that they have an eye exam once a year. The longer the affliction remains unmonitored, the stronger the danger of diabetes caused vision loss. Quick treatment is the key to preventing further loss. Pregnant women that have been diagnosed with diabetes have a higher likelihood of contracting diabetic retinopathy. It is advisable to have a complete dilated eye examination after diagnosis as well. You may wonder why all the concern? Wouldn't there be symptoms of blindness? Well the truth is, not always. There are many kinds of diabetic retinopathy, and only those in the severe phases are obvious. Advanced diabetes might have no symptoms. Macular edema is another diabetes related disease which results in extreme blindness. Both afflictions may manifest without obvious signs. This is why early diagnosis is important to stopping any irreparable damage. A thorough test will seek out precursors of diabetic retinopathy. There are several steps to this exam which will reveal the typical indicators, such as damaged nerve tissue, swelling of the retina, the existence of fatty deposits on the retina, and leaky blood vessels. What is involved in a complete vision exam? First of all you will undergo a visual acuity test by means of an eye chart which is used to assess how accurately you see at varying distances. This is the same as the visual acuity exams given by optometrists, if you need corrective lenses. During a dilated eye exam, the eye doctor puts drops in your eyes to enlarge your pupils. Though not a favorite of most patients, it can prevent loss of vision in 10-15 years. This method makes it easier to examine a larger part of the inside of your eyes to look for unique symptoms that show the likelihood of diabetic retinopathy. The cursory discomfort may save your vision. Take care of your sight. Even a little complacency can lead to irreversible loss. 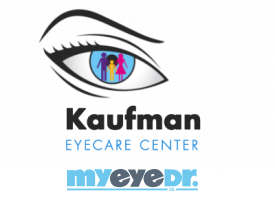 If you are diabetic, it is important to schedule an eye examination with an eye doctor today.